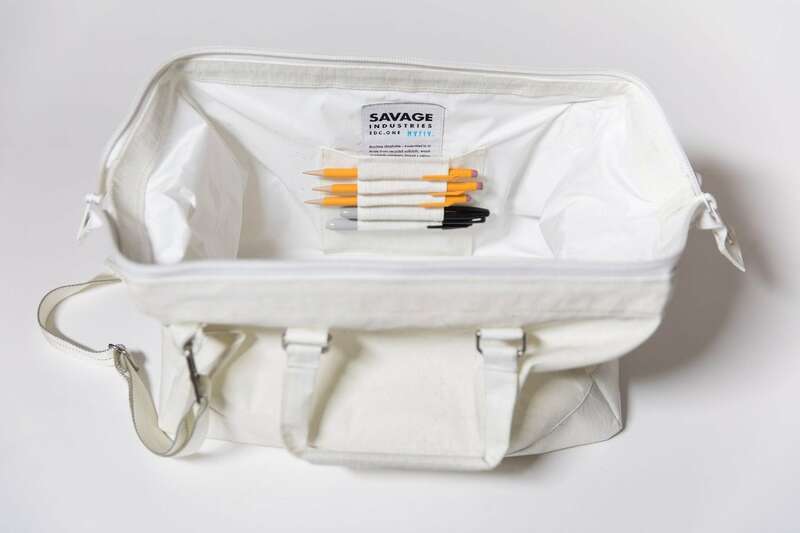 Carry all you need at once with the Savage x Mafia Bags EDC One Sailcloth Bag. 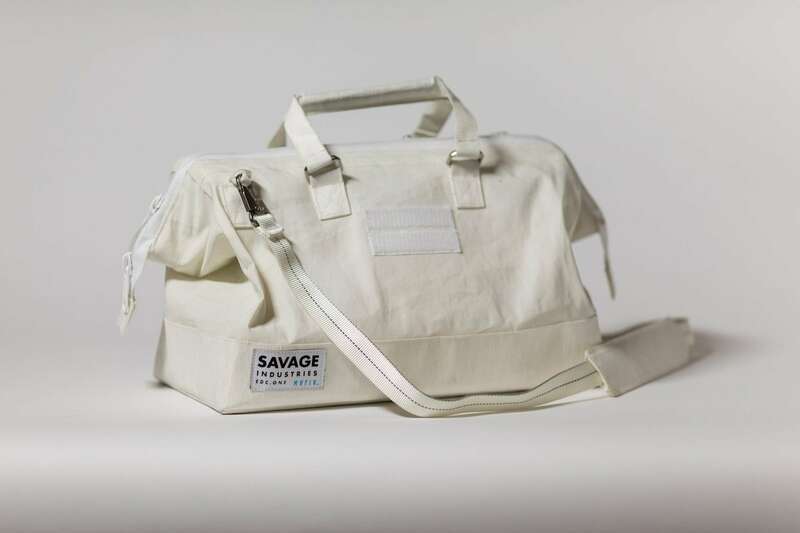 Mafia Bags paired with Adam Savage, known for MythBusters. 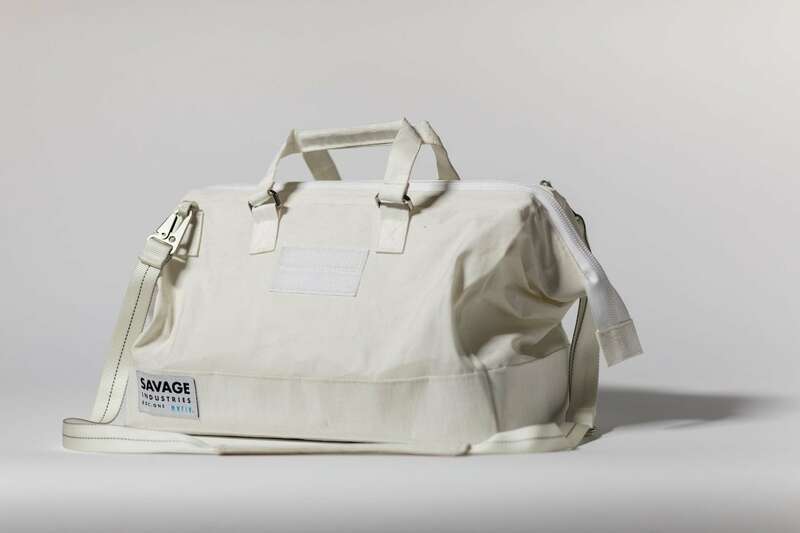 Carry all you need at once with the Savage x Mafia Bags EDC One Sailcloth Bag. 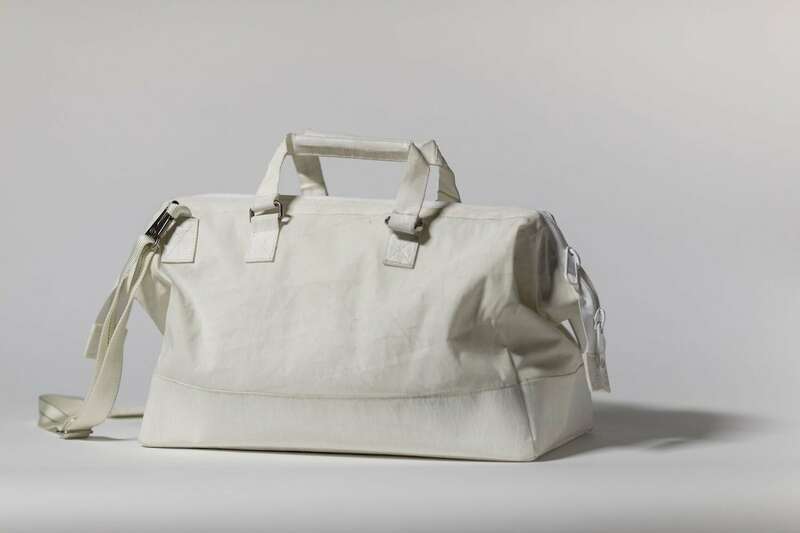 Mafia Bags is a brand known for upcycling materials and making killer designs. They’ve paired with Adam Savage, best known for his show MythBusters. The result is the EDC One. 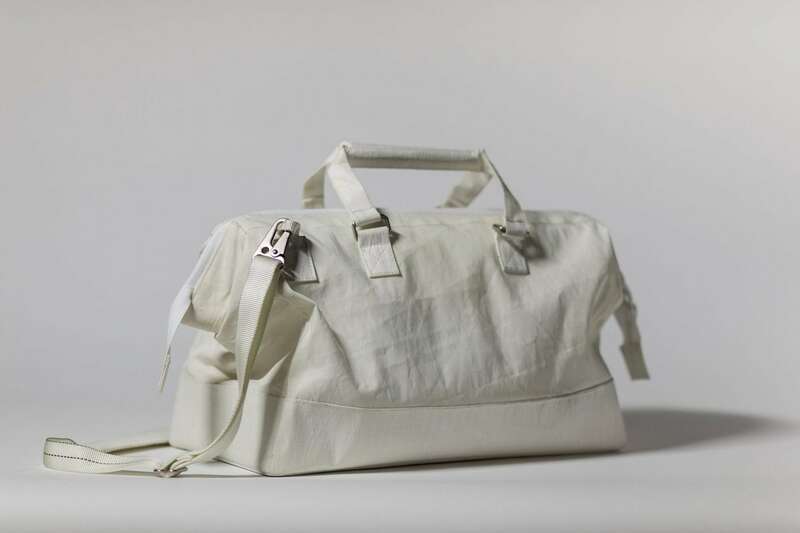 With plenty of storage space, this bag features upcycled sail cloth and comes in all white. 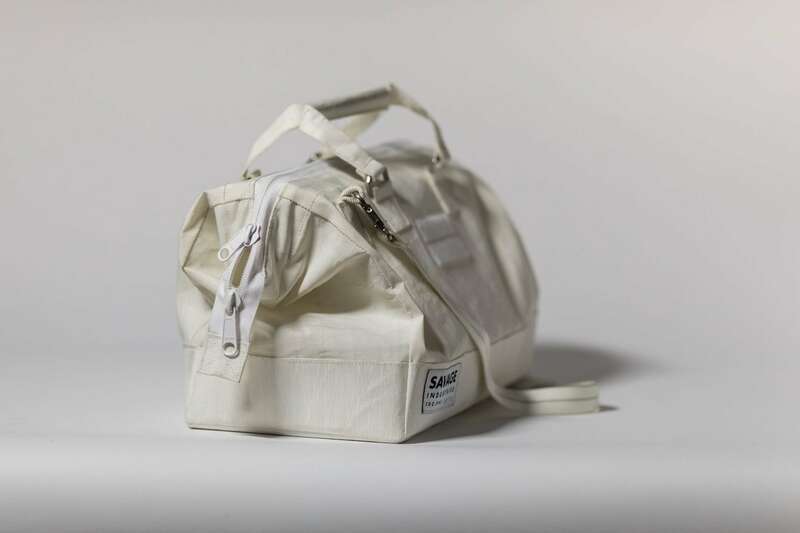 Impressively robust and durable, each of the EDC One bags is entirely unique due to the nature of the material. 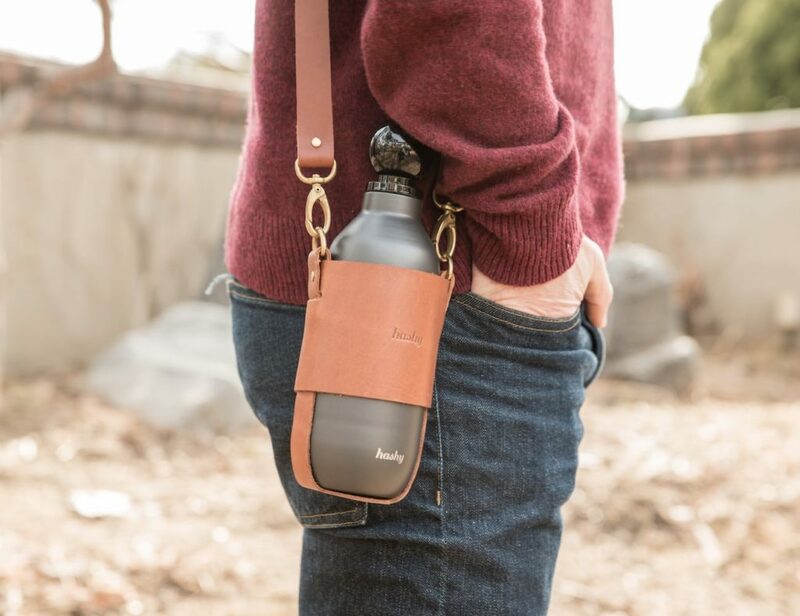 Even with its strong design, the bag is also lightweight making it perfect for any journey. 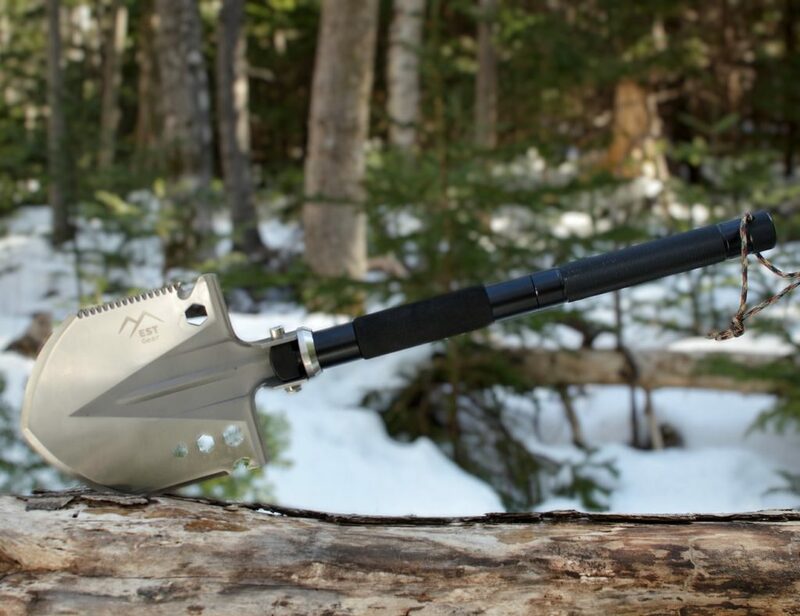 The EDC One is complete with a handwritten serial number which notes both the model and the production number. It also comes with tissue paper featuring an original Adam Savage drawing.